RIEGLis an international leading provider of cutting edge technology inairborne, mobile, terrestrial, industrial and unmanned laser scanningsolutions. RIEGLhas been producing LiDAR systems commercially for almost 40 years andfocuses on pulsed time-of-flight laser radar technology in multiplewavelengths. RIEGL'score Smart-Waveform technologies provide pure digital LiDAR signalprocessing, unique methodologies for resolving range ambiguities,multiple targets per laser shots, optimum distribution of measurements,calibrated amplitudes and reflectance estimates, as well as the seamlessintegration and calibration of systems. RIEGL'svarious 3D scanners offer a wide array of performance characteristicsand serve as a platform for continuing "Innovation in 3D" for the LiDARindustry. Worldwide sales, training, support and services are delivered from RIEGL'sheadquarters in Austria, main offices in the USA, Japan, and China, andby a worldwide network of representatives covering Europe, North andSouth America, Asia, Australia, and Africa. The Southwest Florida Water Management District has released an fascinating video showing how they collect and use LiDAR data to form their watershed plans. Al Karlin with the Southwest Florida Water Management District explains in this video what LIDAR is and why they choose to use it. Dowe Gallagher Aerospace’s VQ-1560i is featured in this video for data capture. This article was originally posted on LiDAR News and features a mobile surveying project done by HNTB and SSI on Amtrak’s New York Penn Station. This project is one of the first extended mobile LiDAR projects completed underground. Tan Nguyen, Terrestrial Business Development Manager with RIEGL USA, gave a live demonstration today of the RIEGL VZ-400i terrestrial laser scanner in conjunction with a presentation from Laura Duncanson, Assistant Professor at the University of Maryland, on the Global Ecosystems Dynamics Investigation (GEDI) and their contributions to mapping global forest biomass. RIEGL was featured in the January/February issue of Mining Magazine in an article called “Looking at it Another Way”. On January 27, 2019, it was announced that RIEGL won the Geospatial Excellence Award for the RIEGL VMX-2HA mobile LiDAR mapping and imaging platform in the Technology Innovation category at the 2019 MAPPS Winter Conference. The NEW RIEGLVQ-780i waveform processing airborne laser scanner for ultra wide areamapping and high productivity was introduced at INTERGEO 2017! The RIEGLVQ-780i is a high performance, rugged, lightweight, and compactairborne mapping sensor. This versatile system is designed for highefficient data acquisition at low, mid, and high altitudes, covering avariety of different airborne laser scanning applications from highdensity to ultra wide area mapping. 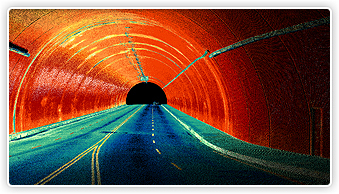 Based on RIEGL'sproven Waveform-LiDAR technology, the system provides clutter-freepoint clouds with high accuracy, excellent vertical target resolution,calibrated reflectance readings, and pulse shape deviation forunsurpassed information content on each single measurement.